Phil Spencer, Corporate Vice President of Microsoft Studios, revealed on Twitter the first two games heading to Xbox One via Microsoft [email protected] program: Nutjitsu and Worms. [email protected] is Microsoft’s self-publishing platform for independent game developers, announced shortly after the system’s launch last year. It’s been described by Microsoft has a proverbial haven for small developers looking to launch their software on a major console. 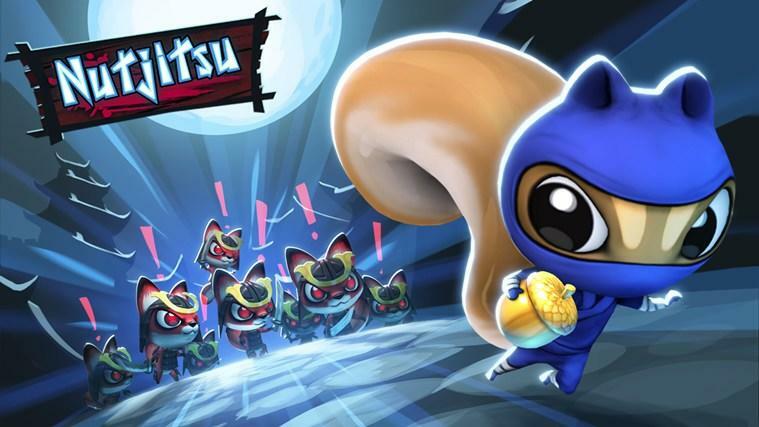 OXM notes that Nutjitsu is already available on the Windows store, available for Windows Phone and Windows 8. It looks to be a sort of Pac-Man type of game where you, a ninja squirrel, must retrieve your acorns from the samurai foxes that stole them, navigating a map of narrow paths and avoiding those foxes, preferably not alerting them. Spencer mentioned Worms, as well, and Worms developer Team 17 followed that up with a press release with a bit more information. But just a little. The game, titled Worms Battlegrounds, will be heading to Xbox One and PlayStation 4 as a self-published title, set for release sometime in 2014. We can surely expect mis-aimed rocket launchers and sweet ninja rope action, but what beyond that? We’ll find out later this year. For the first titles coming through the [email protected] program, what do you think?